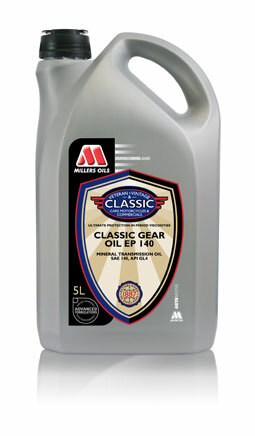 Millers Oils Classic EP140 is an EP (extreme pressure) gear oil exceeding API GL4 for classic transmissions containing additives for bevel and lightly loaded hypoid gears. When it comes to performance, not all oils are the same. Millers Oils Classic lubricants offer ultimate protection in period viscosities to protect and enhance the performance of vintage, veteran and classic vehicles. So whatever oil you need, you can trust Millers Oils to take complete care of your vehicle.